Manufacturer & Supplier of Linear Bearing for Chemical Industry. Our product range also comprises of Ball Screws, Linear Motion Guideway and Precision Engineering Component. With the firm commitment towards quality, we are engaged in manufacturing and supplying Linear Bearing for Chemical Industry. To manufacture the offered bearing, we make use of optimum-grade raw materials that are sourced from authentic vendors of the industry. 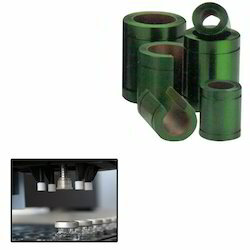 Also, we are offering this bearing his bearing in different specifications at market leading prices. Looking for Linear Bearing for Chemical Industry ?